I have made wine cork keychains before, using beads and charms, with the intention of recycling wine corks and getting a cool look at the same time. However, there is another very good reason for using wine corks to make keychains. If you are a boater or do any kind of water sports, you know how important it is to have a floating keychain. You don’t want an accidental drop sinking your keys to the bottom of the lake. Cork naturally floats so it makes a perfect little life preserver for your set of keys. Although any style of wine cork keychain would work as a boat keychain, I thought it would be fun to create some nautical looking keychains especially for water sports. Instead of leaving the cork natural like I did in previous designs, I decided to paint the cork to give it a fun marine look. 1. Paint your wine cork in a fun nautical color. 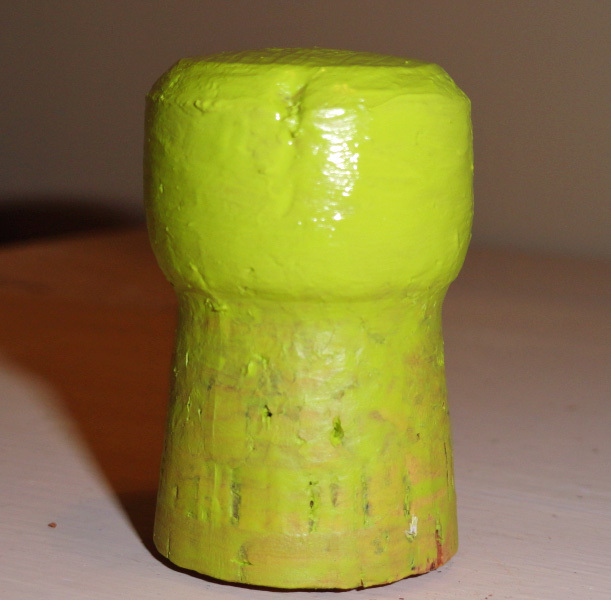 You will need to put about four coats of paint on the cork since it soaks up the paint pretty good. 2. 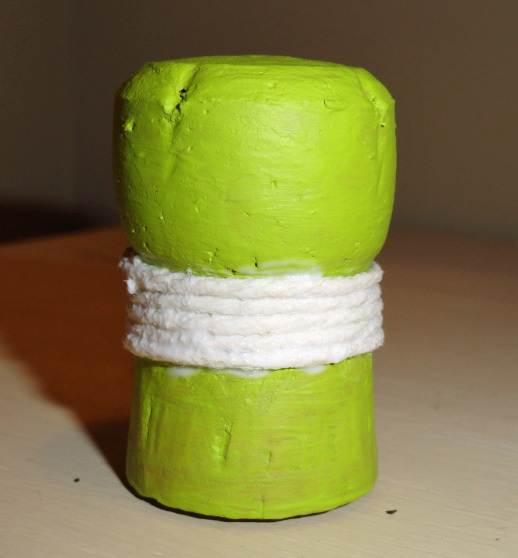 Once the paint is dry, apply some Mod Podge matte finish decoupage to the middle of your wine cork. 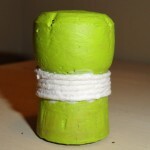 Wrap a length of hemp string around the middle of the cork, over the decoupage. Apply more decoupage over the string. The picture was taken immediately after the decoupage was applied over the string so it is still wet and visible. When it dries it will be clear. You could also use a tacky glue instead of the decoupage. 3. 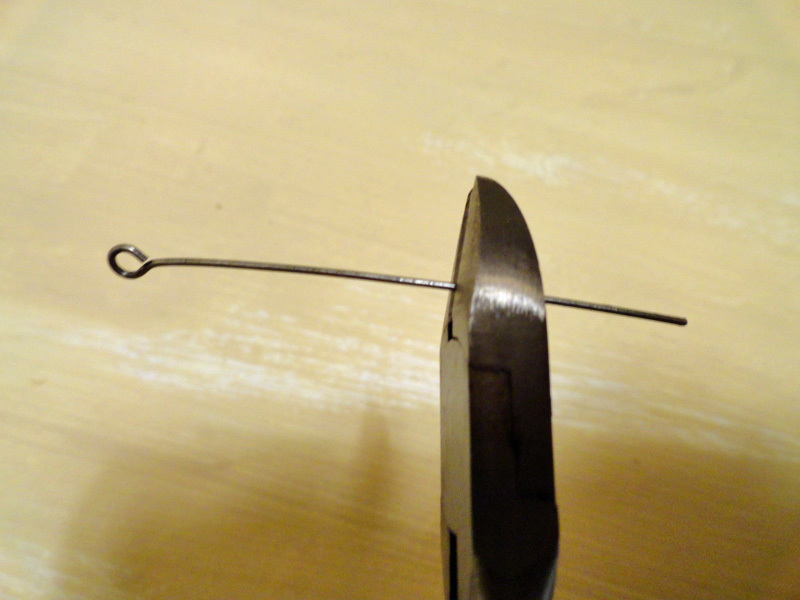 Snip your eye pins with a tin snips or wire cutter to be about a half inch long. Apply glue to the pin and insert one into the top of the wine cork and another in the bottom. 4. Open up the ring for your charm and attach it to the top of your wine cork on the eye pin head. Close the ring with a small pliers. 5. 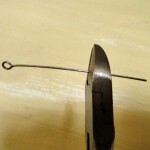 Attach your toggle chain to the bottom of the keychain in the same way. You now have a floating keychain for your boat!